Zachary and Lucy Foxborne have everything they want except a child. As they begin navigating the legal and bureaucratic maze of international adoption from Ukraine, they could not imagine their newly adopted child would be held for ransom by a brilliant and demented hacker, bent on revenge and even darker motives. Finding their baby could cost them everything. Find My Baby follows Zachary and Lucy struggle through the awkwardness and disappointment of fertility treatments, and adoption becomes a more and more appealing option. Once they start down the path of international adoption and are in Ukraine, things start to go enigmatically wrong for them. Zachary is an antivirus specialist and leader in his field, making him a prime target for cyber-terrorists, and one such hacker has set his sights on Zachary, intent on manipulating him into nefarious circumstances. CLICK HERE to download Find My Baby in e-book for Amazon Kindle. 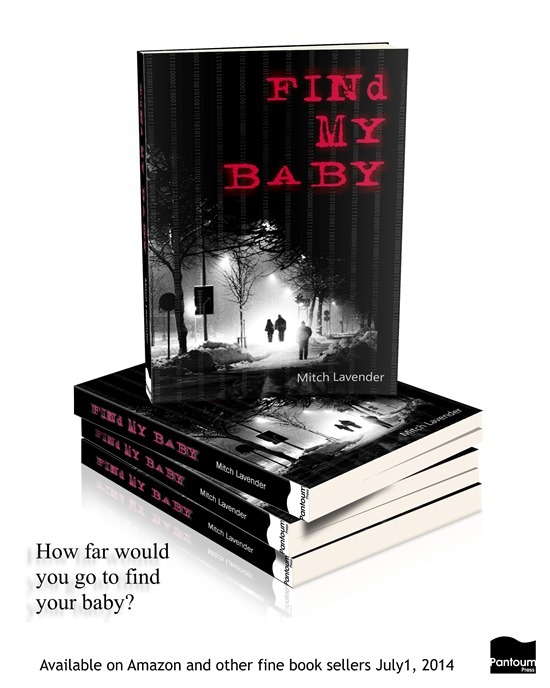 CLICK HERE to download Find My Baby in other e-book formats from Smashwords.